There has been a lot of bad press about auto mechanics, pretty much since I can remember needing work done on my car that I couldn’t do myself. As recently as this week (November 2014), Channel 7 ran a story (from ABC News) about how not to get taken advantage of by your mechanic quoting examples like a $1200 brake job. • Have at least one ASE-Certified technician on staff. 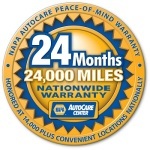 • Perform high-quality diagnostic and repair service at a fair price, using quality NAPA parts. • Uphold the integrity of all members of the NAPA AutoCare Program. • Maintain the highest standards of the repair service profession. • Obtain prior authorization and provide a price estimate for work to be performed. • Provide a system for fair settlement of customer complaints, should they occur. One of our Members is the ASE Technician of the Year – two years running. Our members are retraining their teams annually as technologies change. The National Institute for Automotive Service Excellence (ASE) is an independent, non-profit organization that tests and certifies individual automotive repair technicians based on skills, knowledge and experience. Our shop’s mechanics are given industry-best standards training as it come available. NAPA locally purchases a variety of training for it’s AutoCare Members. Many of our shops are Repair Pal members and many of our shops are 5 Star Demand Force Rated for Auto Repair in Albuquerque. Check individual shop websites for their customer reviews. Peer Review – Also, as part of an ongoing commitment to the quality of the membership of our group, we have a panel of fellow shop owners who conduct shop visits and secret shopper exercises to review AutoCare practices and offer industry standards support. Certainly not all shops are created equal. But when you see the NAPA AutoCare name, you can know that this auto repair shop in Albuquerque has quality parts and certified mechanics. And, if you give them a shot, you’ll probably find a mechanic you can stick with. 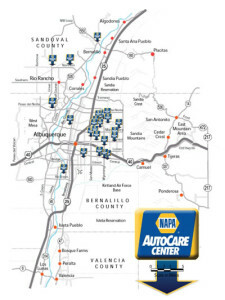 NAPA AutoCare Centers of New Mexico have regularly contributed to community programs to help better our neighborhoods. We have been involved in Toys for Tots collections, Food Drives, Boy Scouts and Girl Scouts, and annually we raise money for the Intrepid Fallen Heroes Fund. This year we contributed locally over $4000 to that program. Many shops get involved on their own. For example one shop owner is giving away a car to a family in need during the holidays, and is a collection point for the Joy Junction Knock Your Socks Off – sock collection campaign for the homeless. 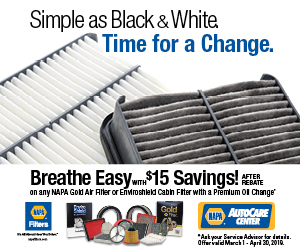 When you think of NAPA AutoCare, think about your neighborhood mechanic who cares about your neighborhood.